23rd GST Council meeting that was held in Guwahati on Thursday and Friday has taken a number of decisions that will benefit both the common man as well as businesses. 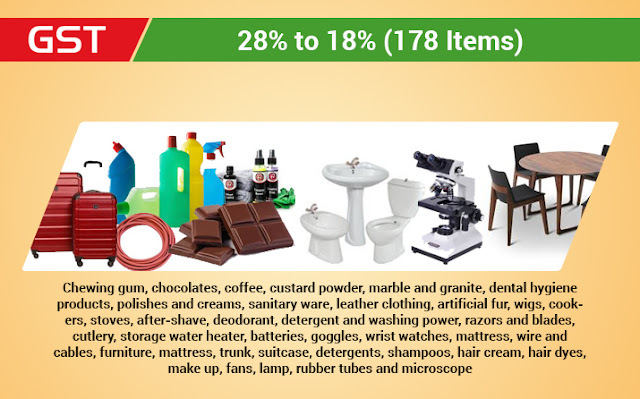 The GST Council has cut tax rates and thereby made as many as 177 items cheaper. The GST Council has a) raised the threshold for small businesses for the Composition Scheme to Rs 1.5 crore and b) eased compliance burden for bigger businesses. Tax rates on all restaurants have been cut to 5% without input tax credit; restaurants with rooms above Rs 7,500 will be taxed at 18% with ITC – earlier levy was charged at rate of 12% on non-AC restaurants and 18% for air-conditioned ones. The changes effected have been many and here we present the full list of items that have been affected.